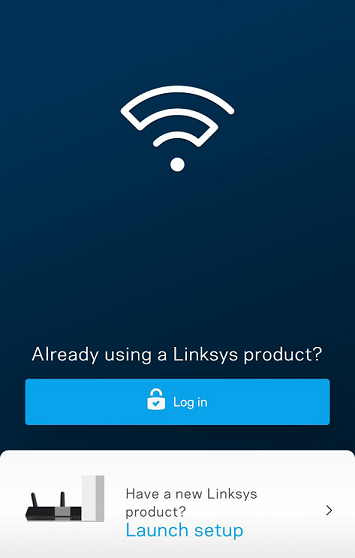 The Linksys app is a free mobile application for Linksys Smart Wi-Fi Routers that allows you to access, configure, and check your home network locally or remotely. This article will guide you on how to access your Linksys Smart Wi-Fi Router through the Linksys app. NOTE: If you haven’t installed Linksys app for Android™ devices, click here. For iOS devices, click here. 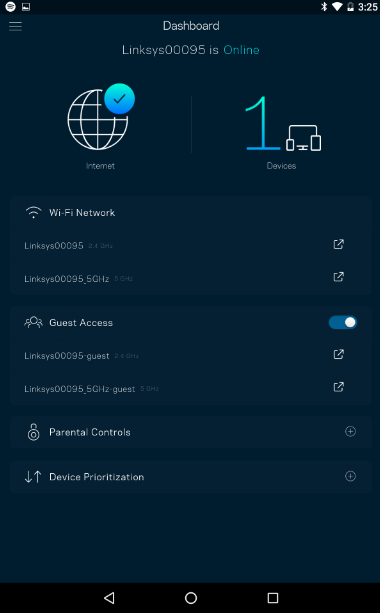 Connect your mobile device to your router's Wi-Fi then open the Linksys app. Tap the Log in button. You will be prompted to provide your Linksys cloud account. Enter the necessary credentials and tap Log in. You can also choose to tap the Log in with Router Password link instead. NOTE: If you are unable to log in using the router admin password, log in with your Linksys cloud account and change the admin password instead. For instructions, click here. 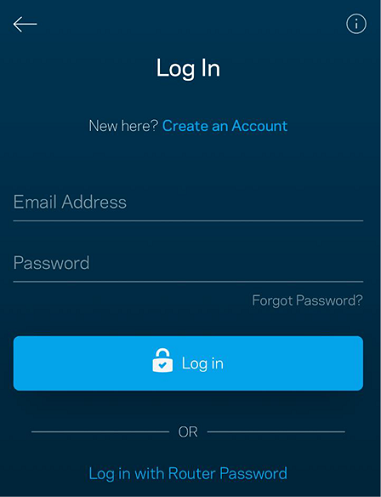 If can't remember the password of your Linksys cloud account, click here.